We are a growing, dynamic organization of professionals in education and business, students, and all those who have a common interest in promoting and utilizing world languages to accomplish their various goals. Explore our site to learn more! We advocate for world language education on behalf of members at the local, state, and federal levels; and promote online opportunities to educate the public about the benefits and issues related to language learning. For almost a decade, FLAVA has offered interactive, online workshops through the auspices of the Washington & Lee University’s Global Discovery Laboratories, webcast throughout the region as part of our mission for professional growth. FLAVA is co-hosting this event. 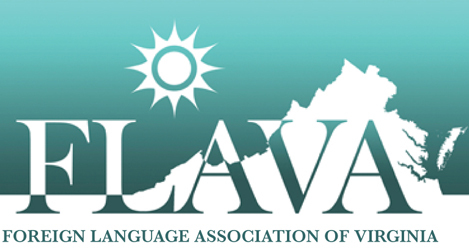 FLAVA members can register at ACTFL member rates. Our Fall conference serves as a primary means of fulfilling the purposes of FLAVA and conducting the association’s business, and our Spring conference provides an opportunity to recharge and to learn the latest in theory and practices. View communications from the FLAVA president, upcoming events, awards, and career opportunities currently available.